Experience Guildford has run the city’s Business Improvement District (BID) since 2012. We’ve worked with the team on campaign marketing from the outset, and so were delighted to learn in November 2017 that they’ve been awarded the contract for a further five years. 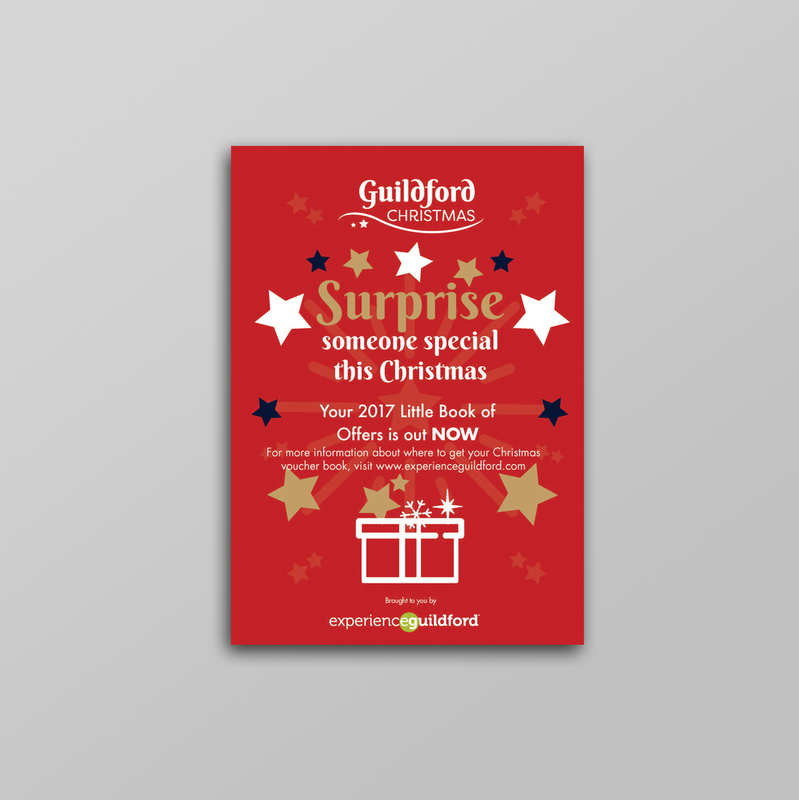 As in previous years, we’ve designed and produced all their Christmas marketing collateral, including a suite of press, digital and outdoor advertising, and the highly successful Little Book of Offers, which gives discounts at retailers, bars, restaurants and entertainment across the city during the festive season.